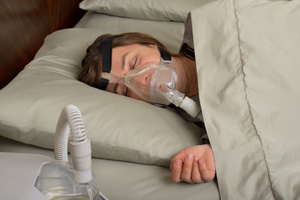 If you have been diagnosed with sleep apnea, you may be aware of the term CPAP. This term is the acronym for Continuous Positive Airway Pressure. This is a common treatment for obstructive sleep apnea. It consists of gently pushing air through a mask that’s worn on the patient’s face during sleep to keep the airways open. The air supply is pushed through a hose that is connected to a mask. Initially, this device can be difficult to adjust because it has to be worn on the face during sleep, but eventually adapting to this sleep therapy will promote a good night’s sleep and healthier life. The CPAP device has had many upgrades since it’s conception in 1980 by Collin Sullivan, Ph.D. It started from using an actual vacuum cleaner and a pump for air to a small soundless device. Although the improvements to the CPAP seem drastic there are many discomforts that persist with many patients. Below you will find 5 common disadvantages of using the CPAP machine to treat your sleep apnea. These CPAP devices come in many shapes and sizes that are custom fit for a person’s face. Many of these masks come in a variety of sizes and what will fit on one person’s possibly won’t fit on another. Working closely with Dr. Debora Klein to make sure that this mask works properly is essential to finding a comfortable fit. Claustrophobia is an anxiety disorder where the person who is suffering has an irrational fear of being closed-in. This disorder may be the case for some CPAP wearers because it can make the person feel like they are trapped in. A mask that is leaky or not fitting properly can limit the air pressure that it provides and can cause skin irritation. A leaky mask can also cause your eyes to become dry due to the air that is not contained in the mask. Although most devices are fairly silent, they can still be troublesome for others. Try checking the air filter to make sure that it’s not blocked. If this is not the issue, try wearing earplugs to mask the white noise. What Makes Up The CPAP? There are several factors that make up the CPAP machine. First, this machine has different settings that adjust the airflow. Work with your doctor in determining which airflow setting it should be on. The CPAP device maintains the air that flows through the machine clean. There is a large selection of different CPAP devices that will fit your personal needs. These CPAP devices come in many shapes and sizes that are custom fit for a person’s face. Working closely with Dr. Debora Klein to make sure that this mask works properly is essential at finding a comfortable fit. Your chances of getting a stroke are dramatically reduced, thanks to the help of the CPAP. Individuals who have sleep apnea are 4 times more likely to get a stroke. Insulin insensitivity can be greatly improved because of the effects of the CPAP machine. Glucose intolerance and the resistance to insulin are two factors that increase the risk of developing diabetes over time. The CPAP keeps your airways open. As a result, it removes and/or reduces the sound of snoring. Stay alert and functioning through the whole day. The CPAP device helps restore your normal sleep pattern due to the natural airflow that it is allowing to your body. There are many benefits that the CPAP provides in combating sleep apnea. If you feel that this tool is uncomfortable for you, there are other sleep apnea treatments that can be more effective. 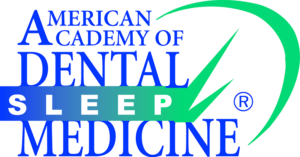 To find out if an alternative sleep apparatus is right for you, or if you want to try the CPAP machine, please call Dr. Debora Klein at Alpine Dental Center today.